custom l.e.d. lit channel letters are the most widely used form of storefront signs today with a variety of options to get the look you want. 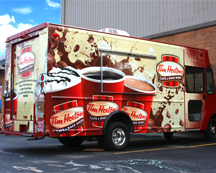 Vehicle wraps get between 30,000-70,000 visual impressions per day and average 9 million per year. Advertising you can't afford not to cash in on. we provide such a wide variety of products it's hard to list them all. if you have a custom project that you don't see in our product list, give us a call, we can help! in a world of rapidly decreasing resources, we've made an effort to provide green options by adding eco-friendly digital printers. we offer a full line of graphic design services including logo design, brochure design and business packages. Whatever your ideas, we can make them a reality. Owning a Sign City franchise is an excellent opportunity. We are always looking for passionate new owners to help us expand our business into new markets. We provide all of the tools, information, and training that you'll need in order to build a successful business. The premier custom printing and graphics company in Macon, Georgia. 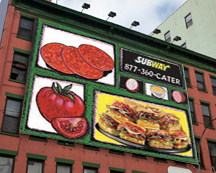 Our shop offers a huge variety of indoor and outdoor signs, apparel, custom-designed promotional products, and much more. We can even design and place vehicle wraps on any car, truck, or van. Our products and services are essential pieces of any business marketing program. Contact our Macon, Georgia sign shop to request a quote. For over thirty years, Sign City franchises have helped millions of business owners, charities, schools, and individuals spread their message with custom signs, banners, car and vehicle wraps, promotional products, and more. We are a full-service printing shop that is capable of taking on any size project. A passion for great design drives every project that we do. We only hire the best graphic designers and the most experienced printing experts. When you choose Sign City, you'll get a beautifully designed promotional piece that will drive new business. 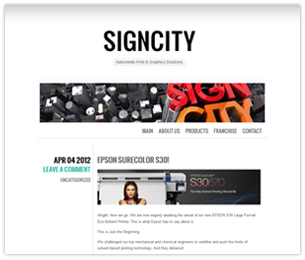 Sign City has worked extremely hard to continue offering cutting edge solutions as technology and the advertising business have evolved over the years. Our equipment looks a lot different than it did thirty years ago and our product offerings do as well. We offer custom designed websites, menu boards, branded flash drives, and innovative pop-up tradeshow displays; products not even in existence three decades ago. 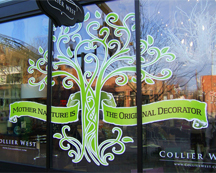 All of our products are affordable; custom-made to fit your needs; and professionally designed, printed, and installed. Choose Sign City and see why our signs are Better By Design.